It’s March, which means snow melting, birds chirping, sun shining, and pulp…pulping? That’s right, we’ll be taking this month to focus on all things endodontics, starting with one of the most infamous procedures of all: the root canal! Root canals are a lot like broccoli: pop culture (pulp culture?) gives them a terrible rap, but they’re really not that bad, especially when properly prepared. How do you ensure your practice is performing top notch root canals? 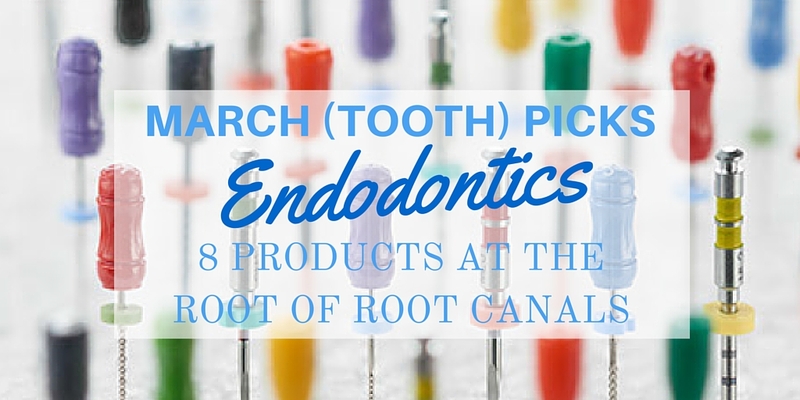 We’ve assembled 8 of our best selling endo products to help get to the “root” of this matter! When a patient comes in complaining of a toothache, it may be related to a fracture, or it may be pulp-related. 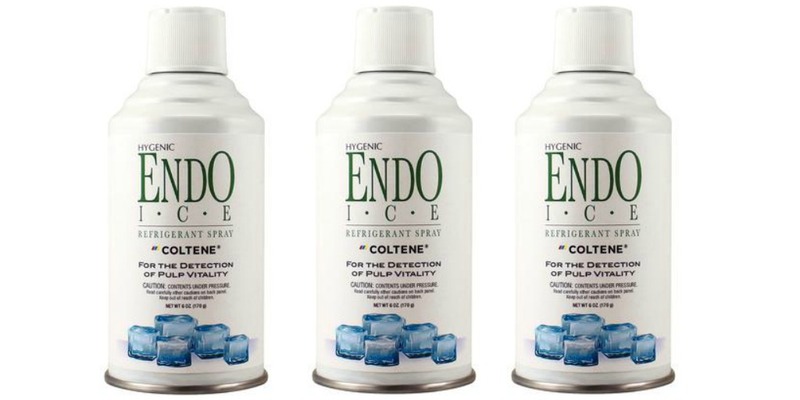 A diagnosis that is both efficient and accurate is essential, and that’s where Endo-Ice Spray comes into play. This is a product used to help conduct a pulp vitality test, illuminating what may be wrong even before taking an X-Ray. Most often, it is sprayed onto a cotton pellet and then rubbed on the tooth, eliciting a reaction from patients. When it comes to relieving a patient’s pain, time is of the essence and this product serves as an efficient diagnostic tool. 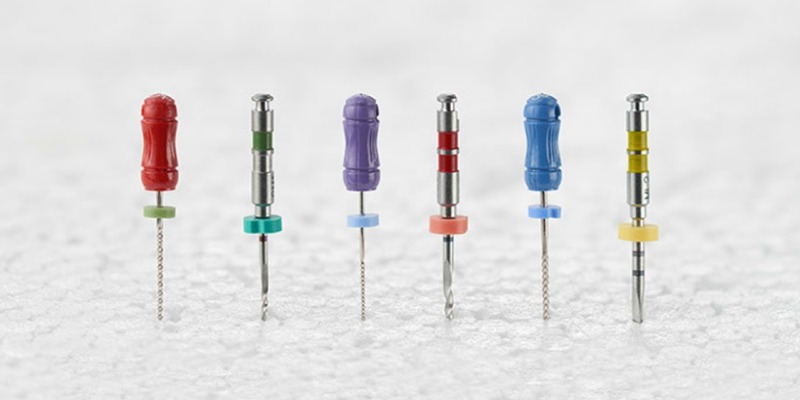 For the dentist, rotary files mean less hand fatigue since the handpiece (versus fingers) is rotating the file. For the office, this method lowers the number of files used per case, which reduces the inventory offices ordinarily require, meaning it is a more cost-effective route. For the patient, this “automated” method reduces chair time. 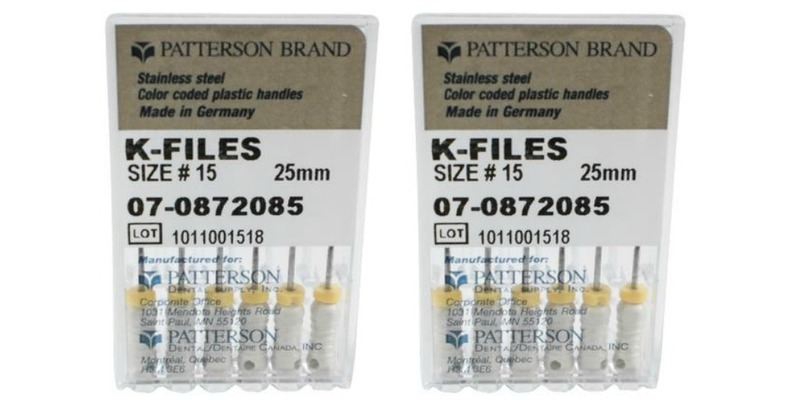 For dental practices that prefer the complete control and precision that hand files afford, these Patterson brand K-Files are a popular choice. This more “old school” filing method has its advantages as well. The conical shape of the instrument follows the natural curve of a tooth’s canal, reducing the risk of ledging. 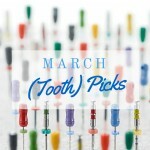 After the tooth is filed, it’s time for some deep (spring) cleaning! An irrigant is needed to get the area spotless and prepped for filling. 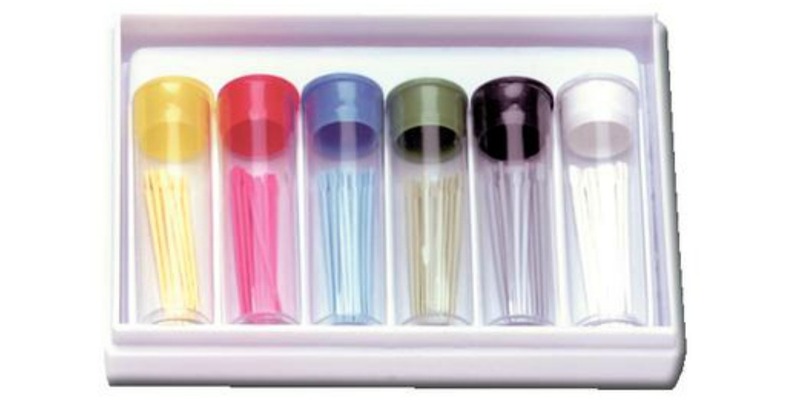 These handy, single-use gel tubes are a great option, as opposed to using a syringe. 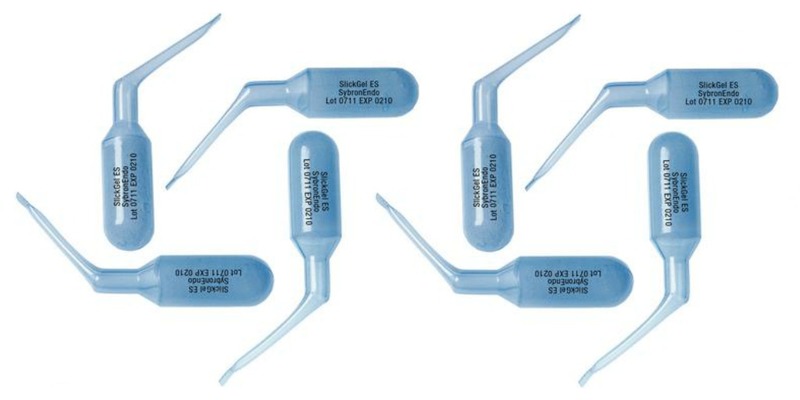 The long, thin end of the tube is inserted directly into the tooth canal, and the product induces vigorous bubbling action that helps flush out any debris from the root canal system. Canals need to be completely dry before any next steps can occur, and to prevent bacteria from forming. Sorry, but even if you have the best vision in town, the naked eye won’t allow you to be certain this is the case. Paper points are a quick and helpful test that will leave you with 100% peace of mind, and a 100% dry canal. This particular product line is great because there is a wide range of options available, from extra extra fine all the way up to course. Plus, they’re pre-sterilized! 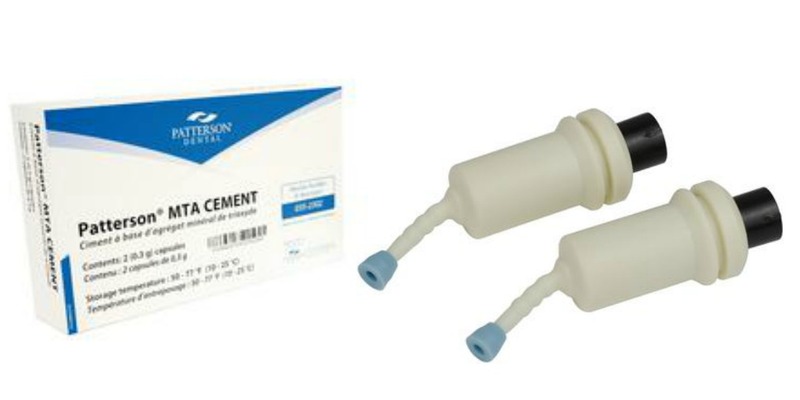 There are many forms of permanent biological cement, ranging from a cartridge delivery system, to those that come in a syringe, to those that require hand-mixing. Patterson brand MTA cement uses a “capsule delivery” system, which is a newer way of approaching the process. Besides being easy to use, these capsules provide an excellent protective barrier against bacteria and fluids. Additionally, since the mixing step is completed by a machine, there is no room left for error via hand mixing. Gutta Percha – odd name, helpful product. After the root canal has been properly cleaned and dried, it’s time to fill it. Gutta percha is mixed with a filling cement and used to fill the cleaned canal. This product’s popularity may be attributed to a number of factors: they are available in multiple standardized sizes, color-coded for convenience, utilize natural raw materials, and uniformity is guaranteed since they are rolled by a machine. 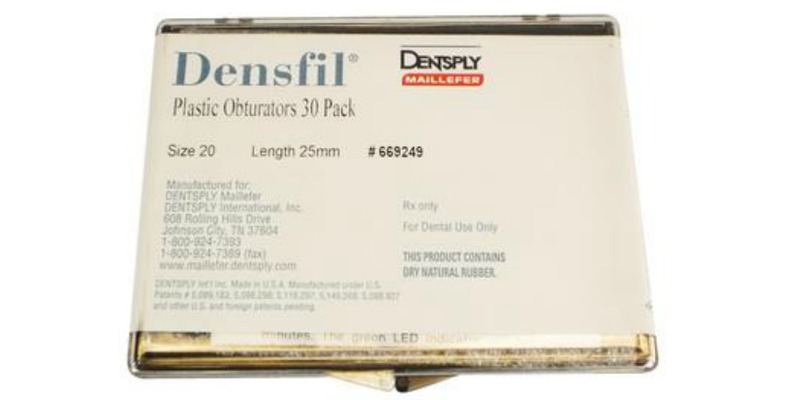 Densfil plastic obturators are an efficient alternate sealant option to Gutta Percha. After being heated, this medical grade plastic provides a one-step, three dimensional fill. And should post placement be required during a root canal procedure, these flexible plastic carriers simplify the process. Of course, this popular product is nontoxic and biocompatible. 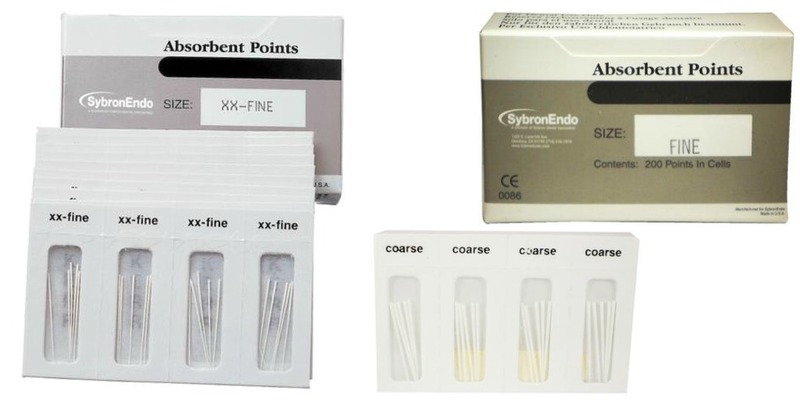 There are hundreds of endodontics product options to consider when approaching a root canal, and from Gutta Percha vs. obturators, and hand files vs. rotary files, all practices have differing opinions on what’s best. Hopefully these 8 best-sellers provide you with a great jumping off point to get to the “root” of your own root canal preferences! SO: rotary files or hand files? Sound off in the comments below! Glad this post could help, Elzbieta. 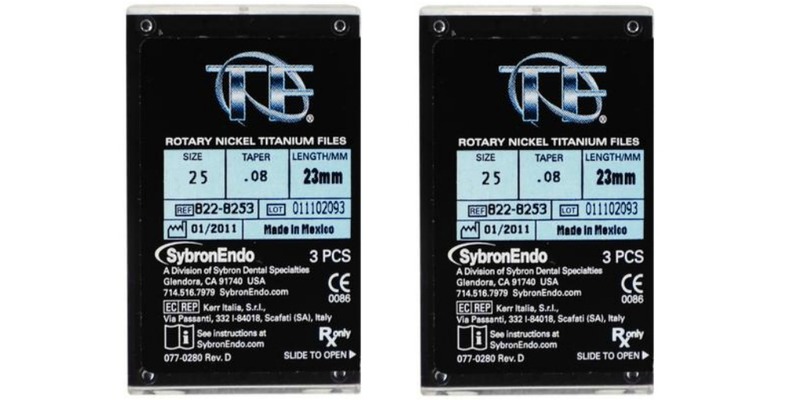 What does your practice generally prefer, regarding hand or rotary files? Always love feedback!